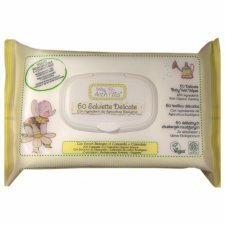 Disposable diapers friends of children's skin. 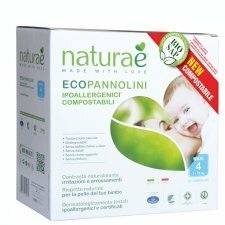 The wipes are made with a soft fabric completely biodegradable and soaked with a lotion of only natural ingredients and biological extracts. They contain surfactants of vegetable origin to gently cleanse, calendula extracts, chamomile and lemon balm to soothe and regenerate the skin, olive oil and bisabolol to make it soft and protected. 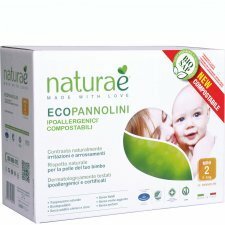 They are perfect for safely moisturizing and cleansing the skin of newborns and children and also excellent for adults with easily irritated skin. 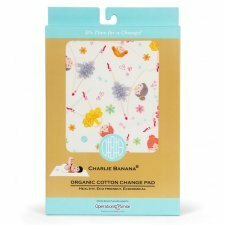 Waterproof changing mat made from organic cotton. One side in soft organic cotton and the other side in waterproof fabric. tore Box - glove basket perfect to clean up and keep everything handy. 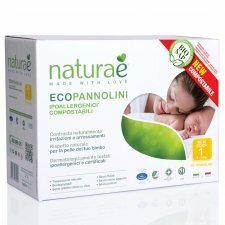 It can contain cleanser, shampoo, nappies and creams for baby change. 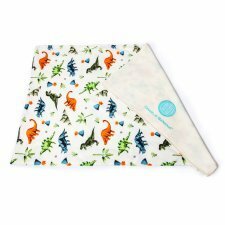 This accessory can’t miss to give a look graceful and stylish to the baby changing mat. 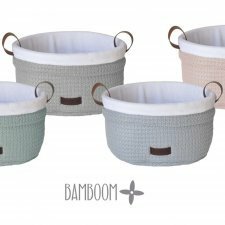 Made of 50% organic bamboo and 50% cotton. 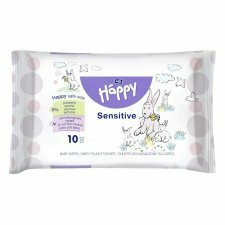 Due to their high content of allantoin and vitamin E, the wet wipes moisturise the skin, leaving a special protective layer that prevents skin dryness. 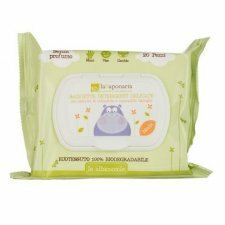 The wet wipes have a neutral pH, so the natural protective barrier of the skin remains intact. The wipes don’t contain alcohol. 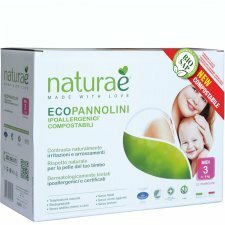 Enriched with aloe vera extract that conditions and moisturises as well as soothing irritation of your baby’s delicate skin. 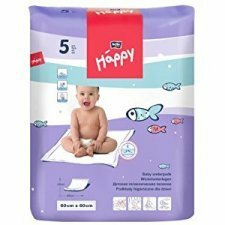 They can be used on the baby’s or child’s whole body.The wet wipes have a neutral pH, so the natural protective barrier of the skin remains intact. They don’t contain soap, aroma compounds or alcohol. 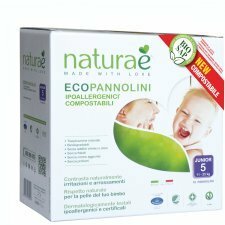 Practical, environmentally-friendly and inexpensive to use. 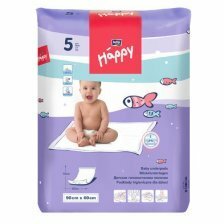 These wipes are soft and just thick enough to let you wipe all the tiny folds in your baby's skin. 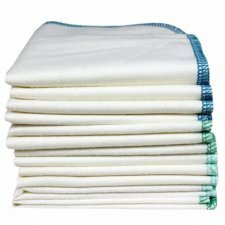 If you have several packs, you can wash them together with the diapers and you will always have a pile of clean cloths at diaper-changing time. 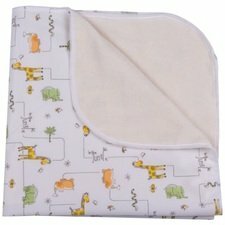 Made of 100 % organic cotton flannel.